These funds are used to support Catholic schools, parishes and religious education in the Holy Land. The Good Friday collection also preserves the shrines for pilgrims and provides assistance, including housing and food, for the poor and needy. AMPs oversees this process from beginning to end. 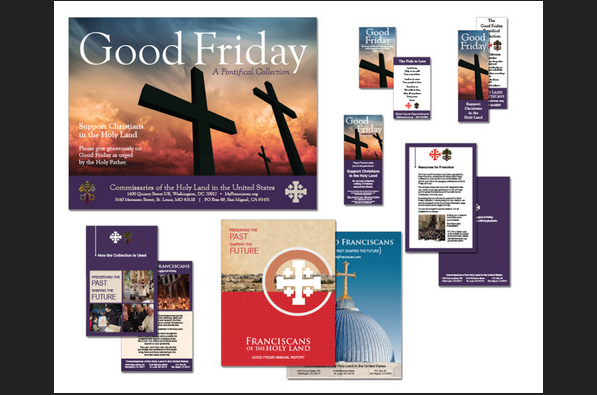 Every parish in the United States receives promotional material to use within their parish along with online resources. Media relations is also completed by AMPs to continue to promote the collection reaching various media outlets. To finish the year long process AMPs then designs, creates and prints the Annual Report for the collection every year.